Ohi'a blossoms (red pua lehua on the floor of Kilauea Iki crater, Hawai'i); photo by M. Vassey on Flickr (noncommercial use permitted with attribution / share alike). 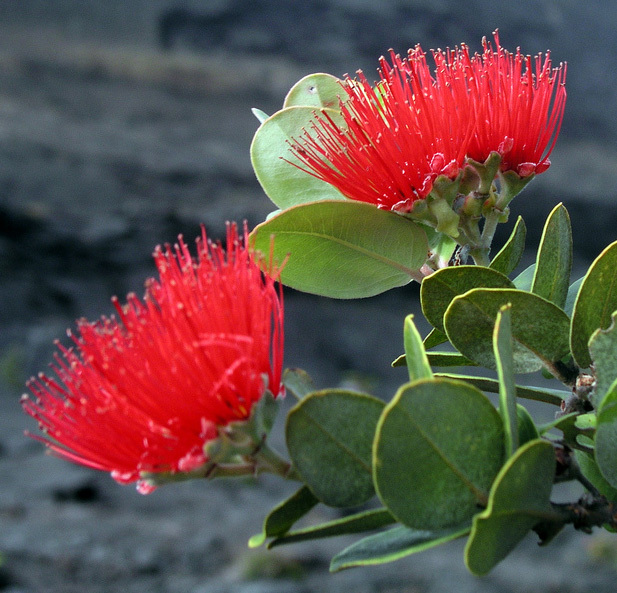 The island of Hawai'i (the big island) recognizes 'Ōhi'a Lehua (metrosideros macropus M. collina), also known as the pua lehua, as the official island flower. Kaho'olawe - hinahina (native beach heliotrope). 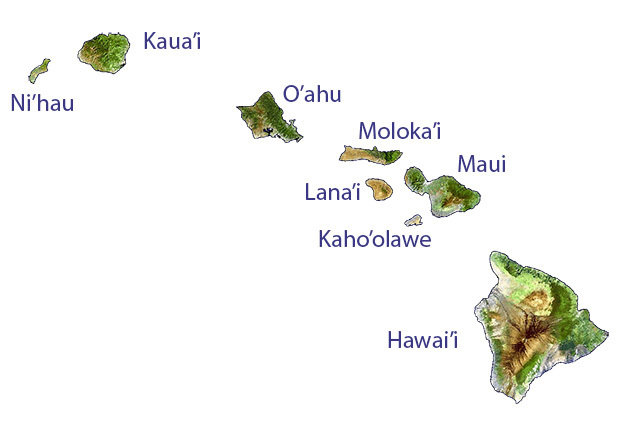 State of Hawaii, USA (public domain image). Beautiful and Exotic Flowers of Hawaii. Video of Beautiful and Exotic Flowers of Hawaii.